For every game, there will always be cheaters. The lowest are those who cheat in PVP-oriented games; they would rather go for cheap and undeserved wins instead of playing fair and square. With PlayerUnknown’s Battlegrounds (PUBG) being the hottest shooter on the block, it’s no surprise that there are cheaters present. Thankfully, the game has a way to boot these shameful survivors off the servers. On September 13, 2016, a total of over 150,000 players got banned, 8,000 on the same day, a record number within 24 hours. With those staggering numbers, it’s likely that you’ve already played with a cheater, and you might not have even known in the first place. Perhaps you did, once an opposing survivor gets to PUBG Items before you do, shoots you through a wall, headshots you from a mile away, and follows your every movement. PUBG is among the many games protected by BattlEye, an anti-cheat client that automatically bans cheating players as soon as they’re detected. For this cheat detection system, there is no reasoning or pleading; you cheat or even attempt to, and you’ll get banned. In case you managed to escape the system’s clutches, you can still get reported and banned. If a skilled player, regardless of whether he or she wears PUBG Skins or not, manages to realize that you’re cheating, then credibility is lost. Win as much as possible. To certain players, it’s better to the top rather than learn from their losses and seriously rise through the leaderboards. Having the edge over other players. Also, for some, it’s fun to perform impossible feats and troll other players. It’s cool never to get mad about losing, and it’s hard to lose if you’re cheating. For more ambitious cheaters, it’s enjoyable to test the breaking point of the developers. Sure, they get banned, but it’s a mere slap on the wrist to cheaters since it’s easy to get a new Steam account anyway. Some cheaters have gotten banned ten, twenty, and even thirty times, but they just keep coming back. Why? Because to some players, cheating is the only way to enjoy the game, so they’d rather get banned continuously rather than being a decent PUBG player. Bluehole and BattlEye can crack down cheaters all they want, but this is never going to end. As long as it’s fun to cheat, players will always do it. As long as there are cheaters, there will still be cheat creators. Money fuels the symbiosis since nothing in life is free. The more effective and challenging it is to detect a cheat, the pricier it becomes. Heck, there are even cheats that require subscription fees. However, like cheaters, not all of these programmers are after money. Some of them are just after the fulfillment of finding loopholes in the system. Just like the cheaters that buy their hacks and exploit them. No matter how good anti-cheat systems become, cheaters will never die. 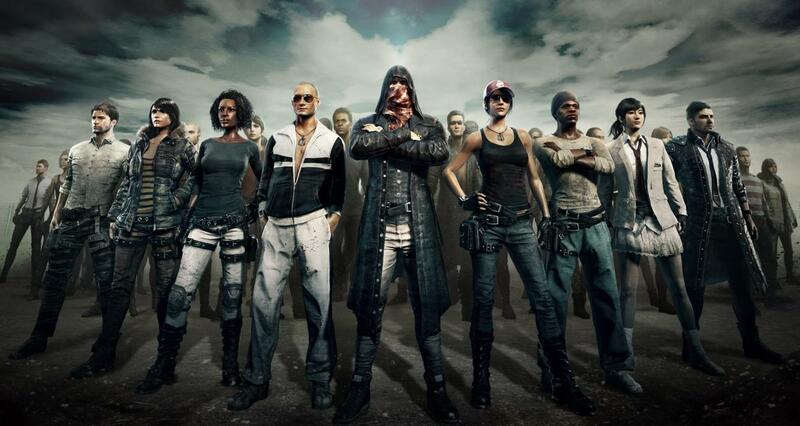 For a young PUBG, the fight against these renegade survivors has just begun. So, when will it end? The day this battle royale-inspired hit goes offline. Next articleAre Virtual Reality Machines the Future of Gaming? Wadu hek! I got rekt on a cheater one time when were supposed to land n our respective spots but suddenly we end up dying before even using our parachutes. That doesn’t sound fun at all. It sure is unfortunate to see people cheating in games like these, some people do literally anything to win regardless if it’s allowed or not. Aimbot sure is the most common cheat what i have seen being used. I remember seeing people using aimbot in TF2 and it’s nuisance to play against. 1DannyBoy1 did not rate this post. The Aimbot in PUBG is really weird, for example you have sniper rifle but to make the aimbot effective you should not use any scopes. Aimbots are always a no-no! It’s good they’re banning cheaters, one of the games I play they don’t know how to deal with them because they’re an indie game and they don’t wanna lose half their player base. A game with half of the players being cheaters? That’s pretty troublesome indeed. Definitely unfair to cheat on PvP games! If you’re gonna cheat at least make cheats that make the game/match MORE fun! Used to love hackers in COD zombies games that made a match like a party, or those on GTA that spawn cars or hack whole models into the game. fallenCrest did not rate this post. Yeah cheating in single players is fine but in multiplayer games it’s just wrong, especially ddosing or boosting. It depends on what kind of single player games they are and what cheats they are. I didn’t know PUBG had cheaters. I always knew that ROS had them tho, that’s why I stopped playing it. The problem I have with PUBG is the wifi connection. Myabe that’s just me but do you guys have probelms with connecting the game with your iPhone? Kyaw14 did not rate this post.